КУДА НИКОЛ ПАШИНЯН ЗАВЕДЕТ АРМЕНИЮ? 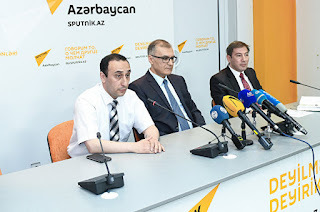 On May 29, the 100th anniversary of the transfer of the Azerbaijani city of Erivan (Irevan) to the Ararat (Armenian) Republic and the tragic consequences of historical falsifications related to this event was commemorated in Baku. Destroyed monuments and other items of material and spiritual culture, no matter how valuable they are, are still a comparatively low price for such crimes. It is much more terrible when the excessive ambitions of politicians lead to human casualties, and this continues for many generations. Why and who ordered Azerbaijan the transfer of ownership over Erivan at the beginning of the 20thcentury is a topic of separate discussion. 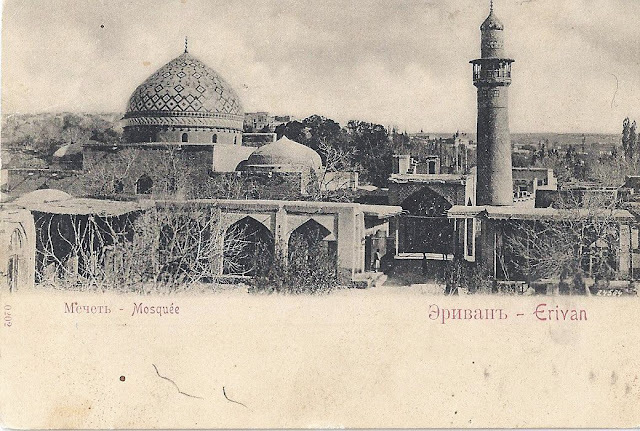 But the sad history of this city can be indicative for other Azerbaijani lands on which the modern Armenia was created. Through the destruction of material culture and ethnic cleansing, Armenians have obliterated any Azerbaijani traces in Erivan. This medieval Azerbaijani city, as well as the unique buildings of the Erivan Fortress were destroyed and replaced by a replica, modern Yerevan. It was a monstrous crime indeed. 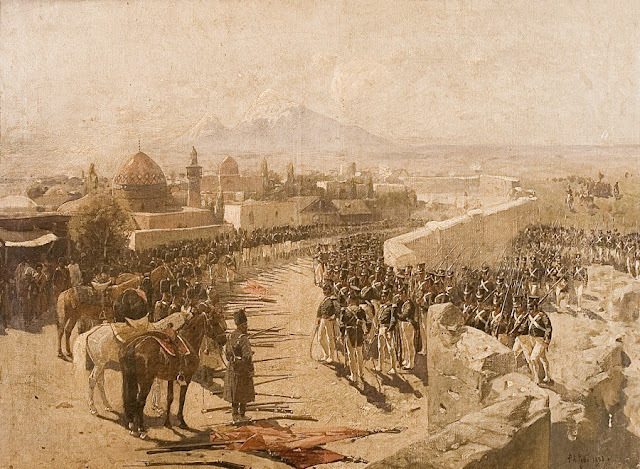 Over 800 buildings, mosques, palaces, caravanserais, baths, and other public buildings were destroyed in order to create a new image of Yerevan. None of these buildings, except for the Blue Mosque, exists now. Gradual expulsion of the entire Azerbaijani population ended in 1990 when the last Azerbaijanis left Armenia. However, it was not possible to destroy some of the evidence. Thanks to a project supervised by the sectoral head of the Presidential Administration of Azerbaijan, political scientist Fuad Akhundov, a unique set of photographs taken in the 19th century were presented to the public on May 29 in Baku. They depict the medieval Erivan Fortress and the artefacts taken to Tbilisi after the destruction of the fortress and currently kept at the National Museum of Georgia. 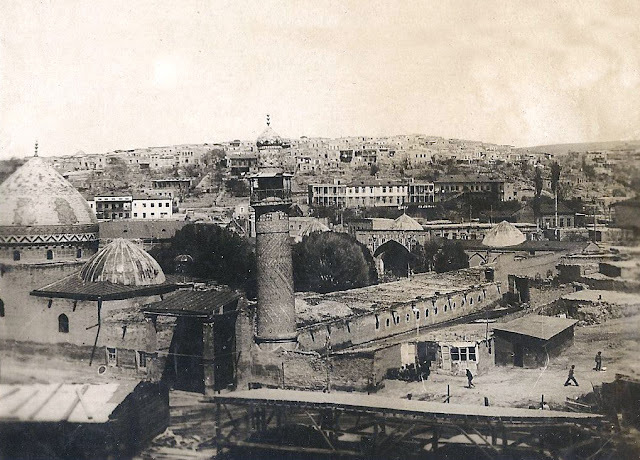 This evidence has been used to prepare a photo album titled “The historical centre of Yerevan (Irevan) according to archival material and old photos”. According to Rizvan Huseynov, Director of the Centre for the History of the Caucasus, Senior Research Fellow of the Institute of Law and Human Rights of ANAS, a special attention should be paid to unique photographs taken by a pioneer of Russian photography, orientalist Yermakov (1845-1916), as well as the documents of that period, which still remain in archives. For instance, the appearance of the Erivan fortress at the beginning of the 20th century so impressed the Russian Emperor Nicholas II that he ordered for its restoration. By the way, this order has never been executed. Anyone can explore the image depicting the buildings, furniture, household items, flags, and ornaments of that time. 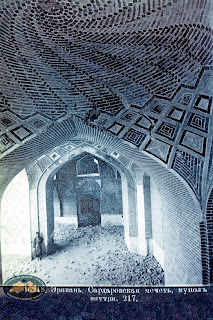 But the most important thing is the photographs of the majestic palace of the Erivan Khan, currently wiped off the map. By the way, there are other proofs that the current Yerevan is a new city. After all, one often has to commit new crimes in order to conceal one. This happened after the destruction of Erivan - modern Yerevan became the only capital in the world, which does not have historical centre. Thus, in the 1950-60's the local authorities came up with another myth about “ancient, twenty-eight-centuries-old Yerevan” using the remains of the Urartian fortress of the 8th century BC found near Yerevan and called Erebuni (Irpuini) as a basis for their claim. This autumn the capital of Armenia is preparing to celebrate its strange “anniversary”, 2800 years. Although this claim is acknowledged by none of the contemporary scientists, nor UNESCO. Incidentally, the Soviet scientists have not acknowledged it either. Authors of the project, which revives the truth about the Azerbaijani city of Erivan, particularly underline that it is not about politicising history. Azerbaijan has never had any territorial claims to its neighbours. 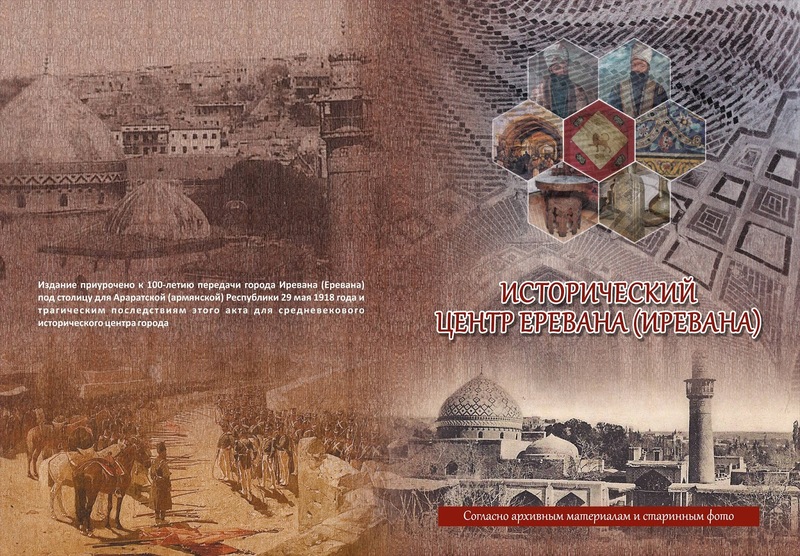 Azerbaijani scientists only promote the popularisation of true history. After all, the study of these documents helps to understand the origins of the Karabakh conflict as well. Alas, the history repeats itself. For example, there are attempts to use the past myths as a basis for new claims. We can also see tireless efforts to use the inalienable right of Azerbaijan to Nagorno Karabakh as a bargaining chip, which Baku will never accept. “In 2011, when the Erivan fortress destroyed by the Armenians would have turned 500 years old, Armenian media made a fuss over its ownership claiming that it was not an Azerbaijani fortress but a Persian one. I said well, let it be Persian, or Chinese, whatever... but why did you destroy it? Then we had their second argument that the fortress was not an Azerbaijani mosque but a Persian one. I asked, “Why?” “Because it was on the territory of Persia.” Then, I replied that the church in downtown Baku was not Armenian but Russian because it was built on the territory of the former Russian Empire. By the way, the events in Karabakh also began after similar absurd arguments,” Fuad Akhundov said. He particularly noted that he is addressing the Armenian community with his projects, and it is important that there is already a response. “There are smart people in Armenia who do not need to falsify history. They are against fooling the people. 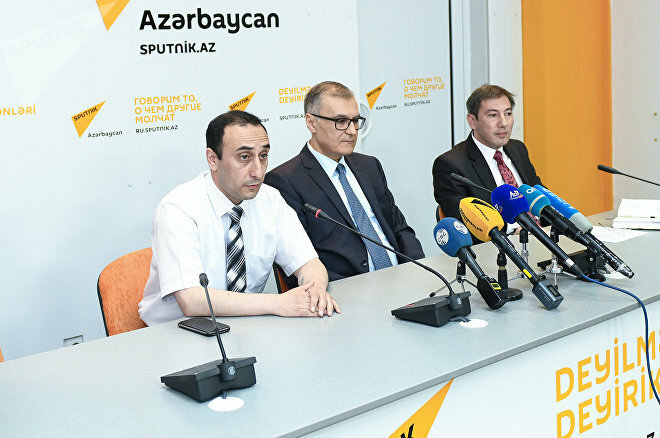 I think if we make such projects more frequently and distribute them through the Internet, there will be people in Armenian society who will understand this and will not want to be fooled further,” Akhundov said. By the way, the Armenian representatives of the Peace Platform attended the press conference in Baku, too. 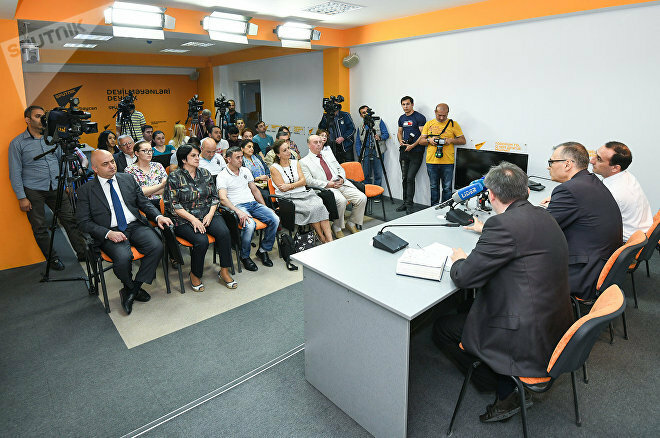 They expressed confidence that this project could help Armenian historians to understand the truth. Historical truth is a powerful weapon, and it is important to convey it not only to scientists but also to new generations. 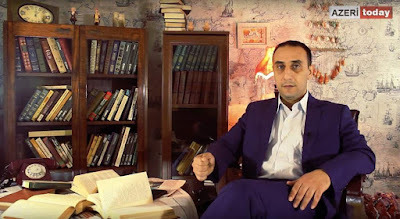 Fuad Akhundov emphasised Bismarck's famous quote that “the wars are won and lost behind school desks” meaning that it is the only way to prevent falsifications of history and unreasonable claims.